An interesting blog post by @refthinking giving us much to ponder about. I know that the collaborative, differentiated method of learning with Guided Inquiry Design we do at Broughton certainly assists students to develop many aspects of the skills mentioned here. 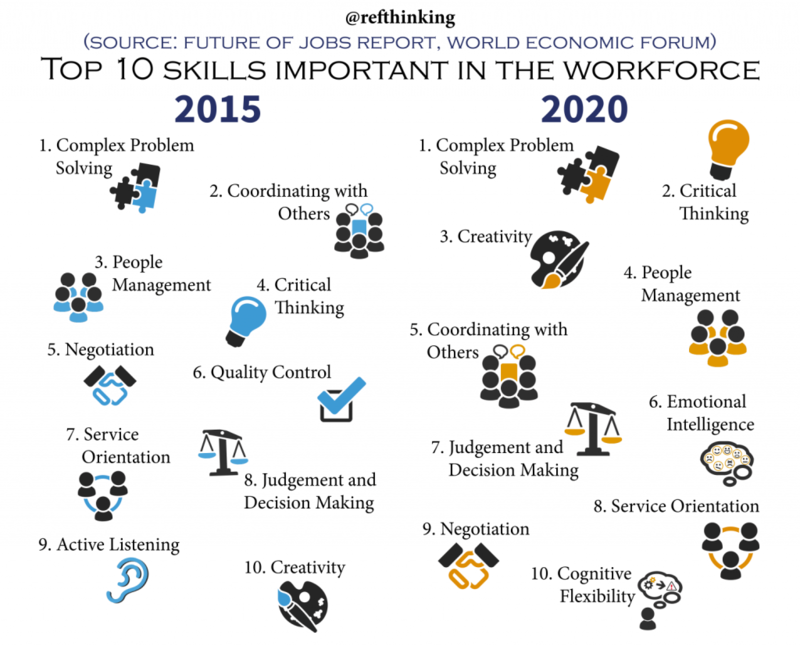 According to educational technology researcher Dr. Ahmed Kharrufa, this list was ‘formed by the World Economic Forum following their Future of Jobs report’. This entry was posted in Collaboration, Guided Inquiry and tagged Guided Inquiry, Skills, thinking curriculum. Bookmark the permalink. ← Change – How much has there been in education?